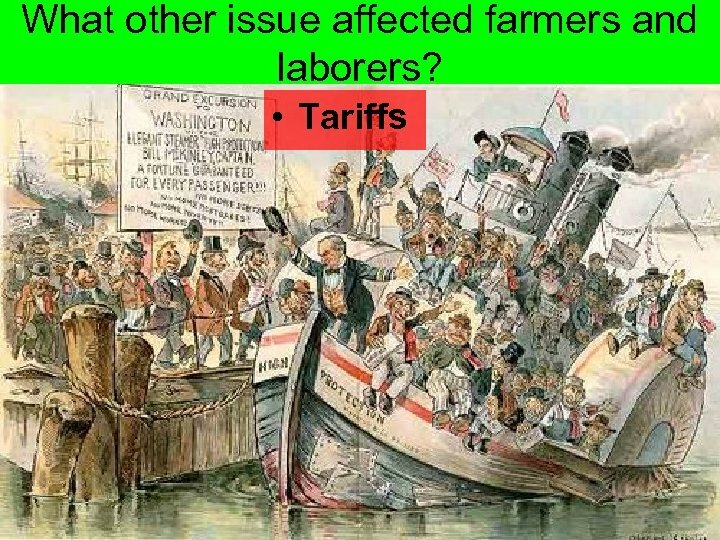 Review • Describe the Gilded Age • Describe the problems farmers had during the 1890 s. • Who were the Grangers? 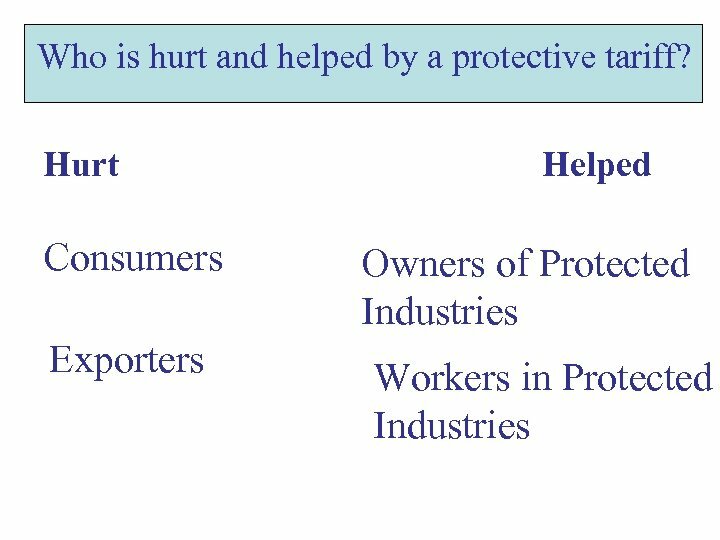 • What is the significance of Munn v. Illinois? 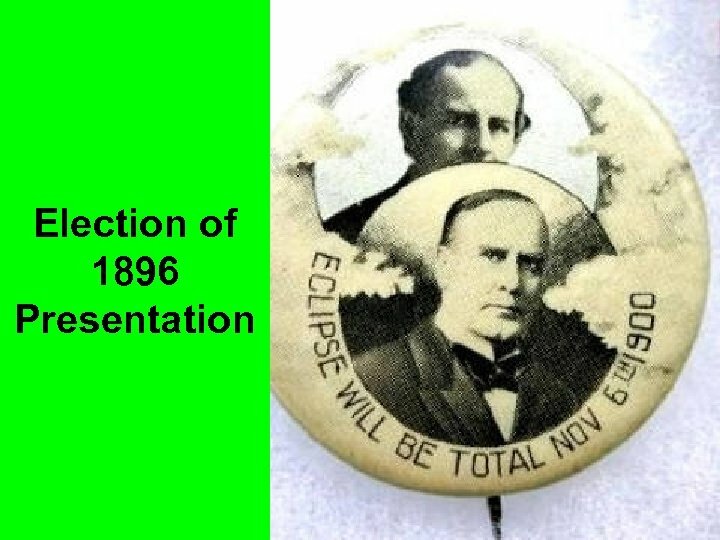 • What is significant about the Wabash case? 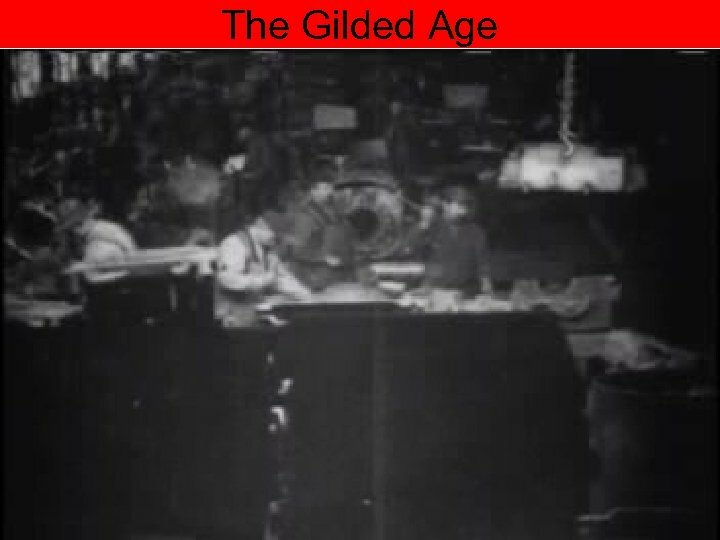 • Describe the problems labor had during the Gilded Age. 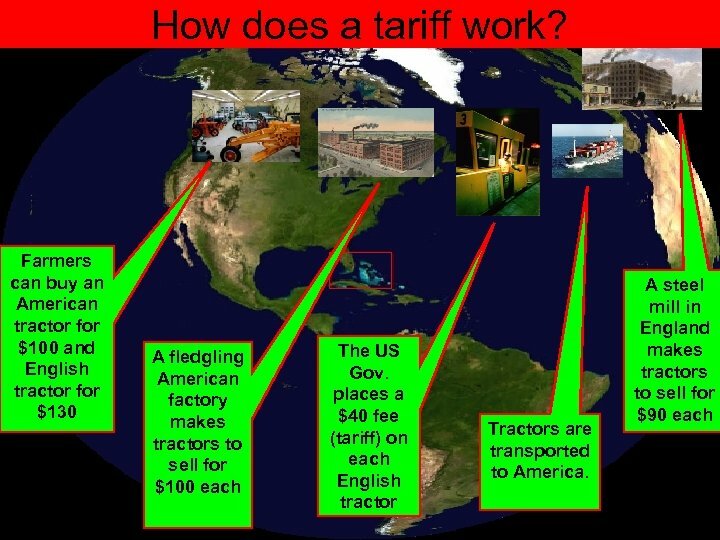 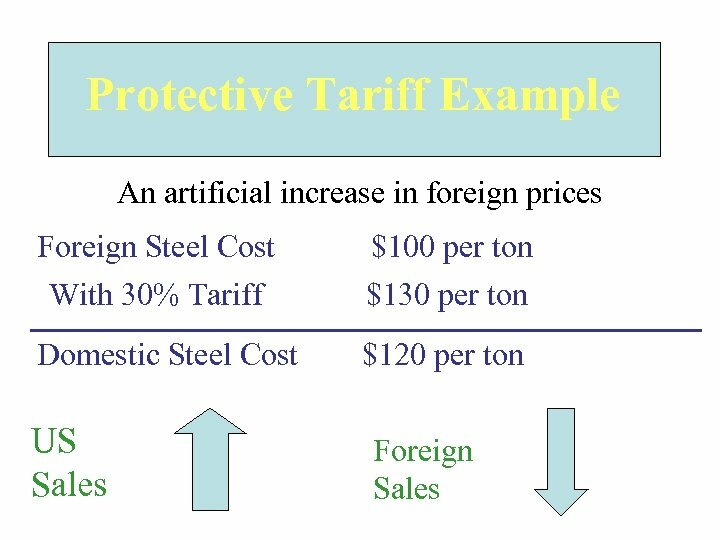 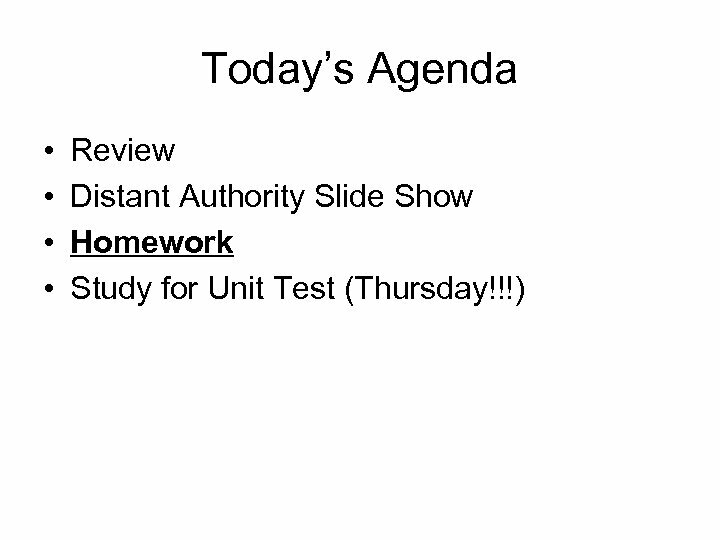 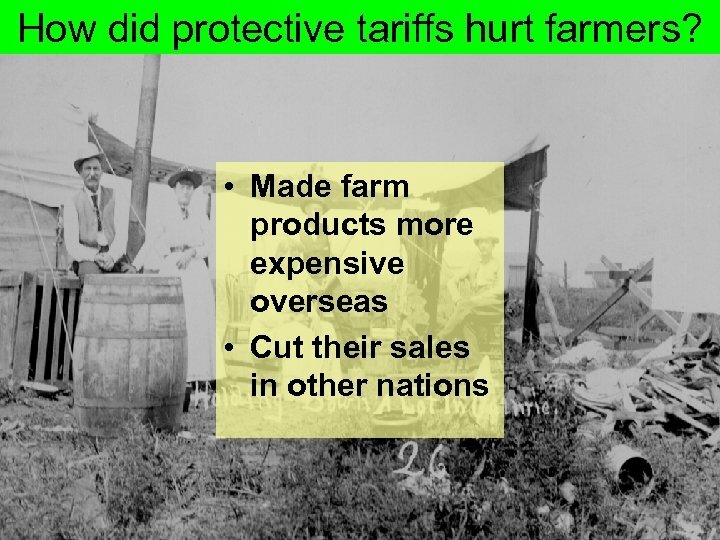 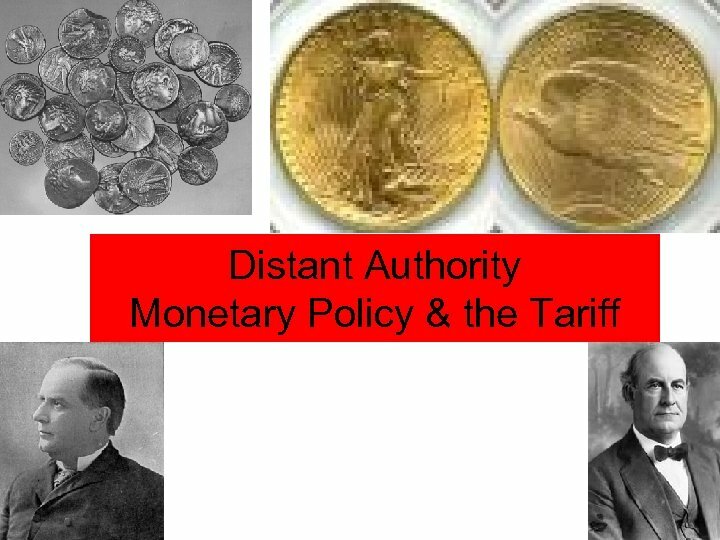 Today you will be able to: • Identify what a protective tariff is, who would favor it, and why? 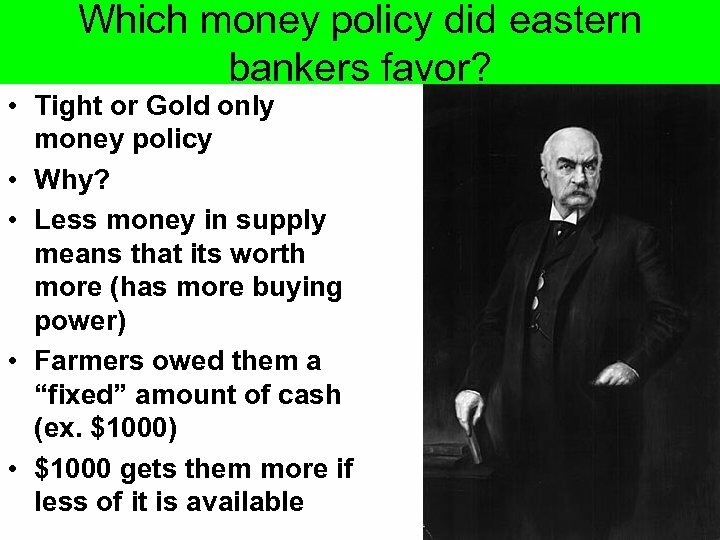 • Identify differences between Bryan and Mc. 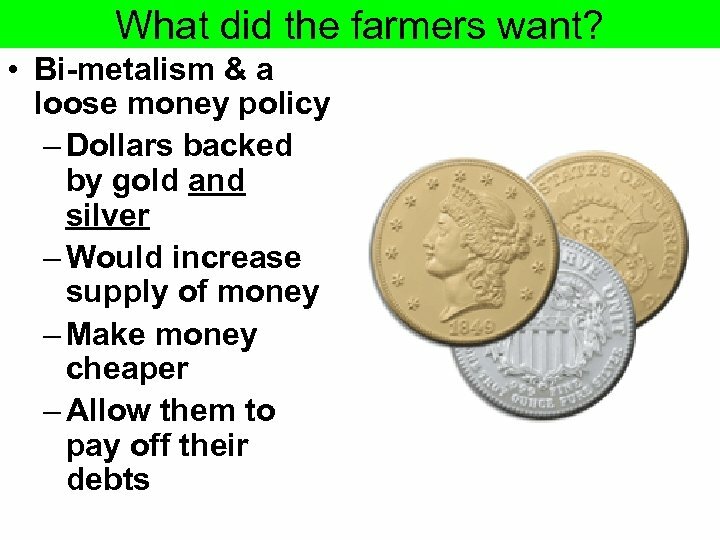 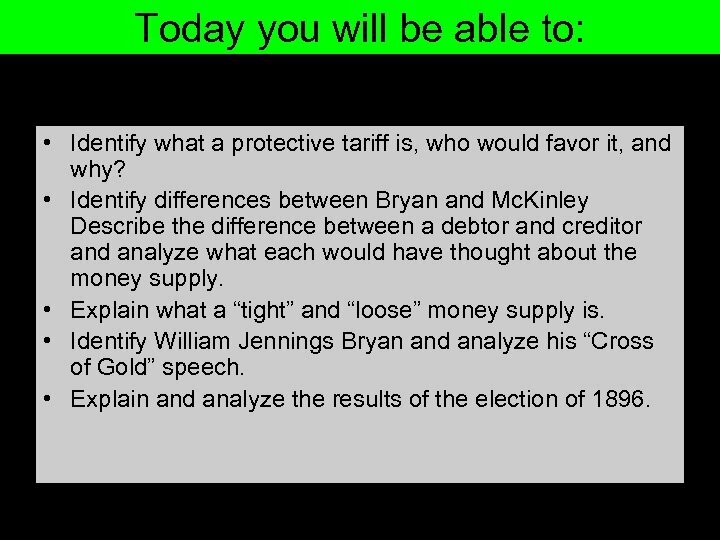 Kinley Describe the difference between a debtor and creditor and analyze what each would have thought about the money supply. 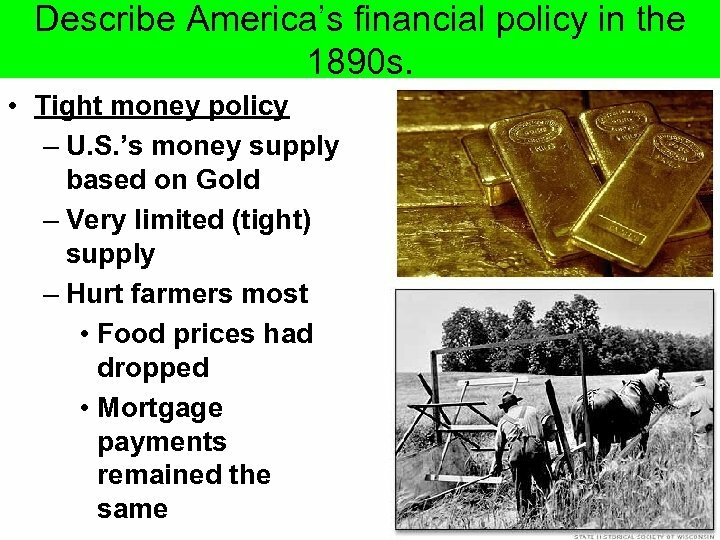 • Explain what a “tight” and “loose” money supply is. 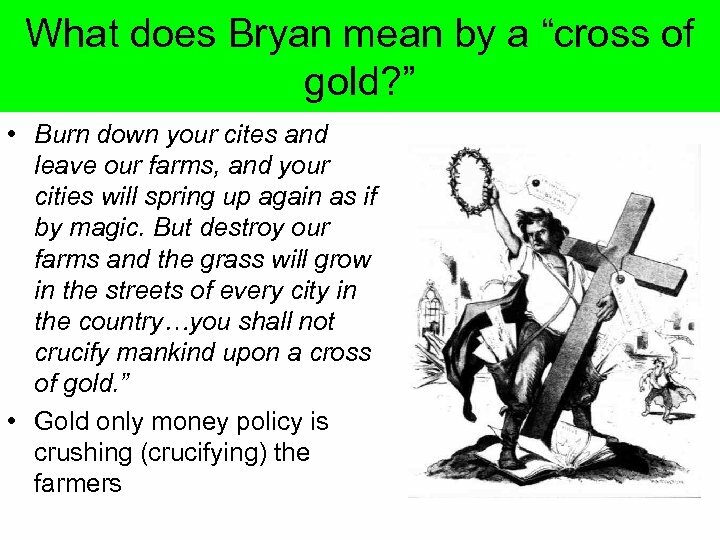 • Identify William Jennings Bryan and analyze his “Cross of Gold” speech. 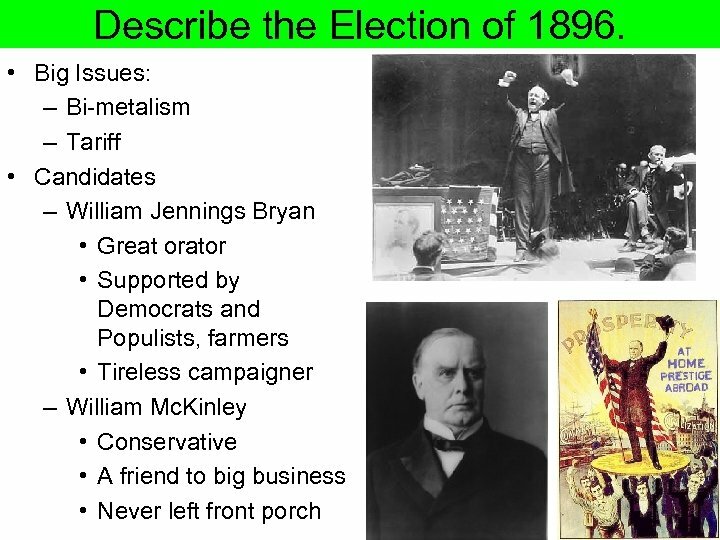 • Explain and analyze the results of the election of 1896. 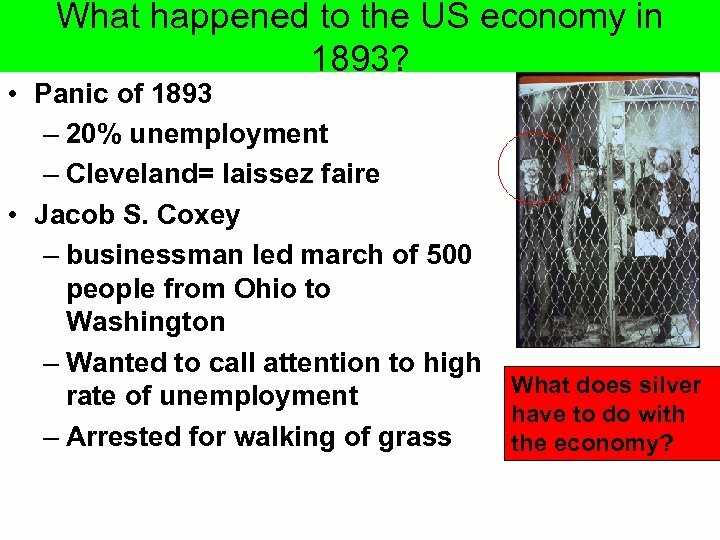 What happened to the US economy in 1893? 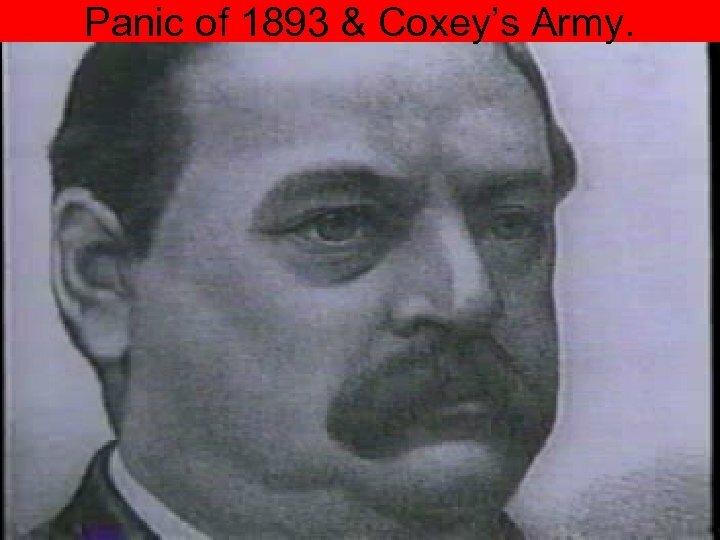 • Panic of 1893 – 20% unemployment – Cleveland= laissez faire • Jacob S. Coxey – businessman led march of 500 people from Ohio to Washington – Wanted to call attention to high rate of unemployment – Arrested for walking of grass What does silver have to do with the economy? 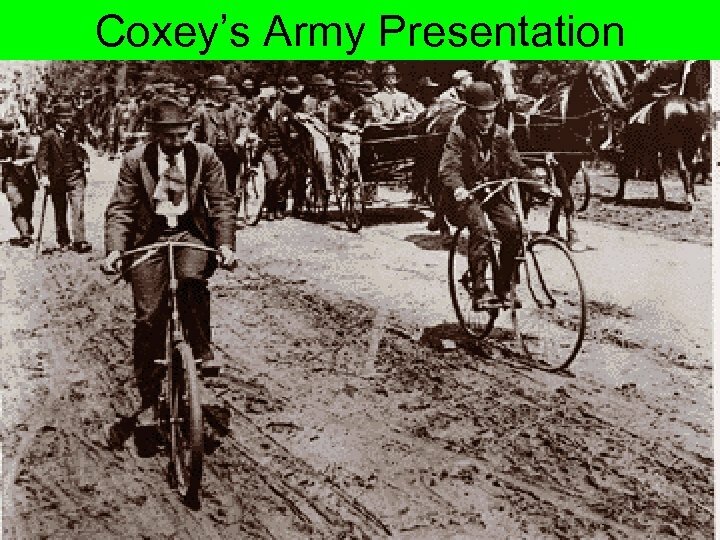 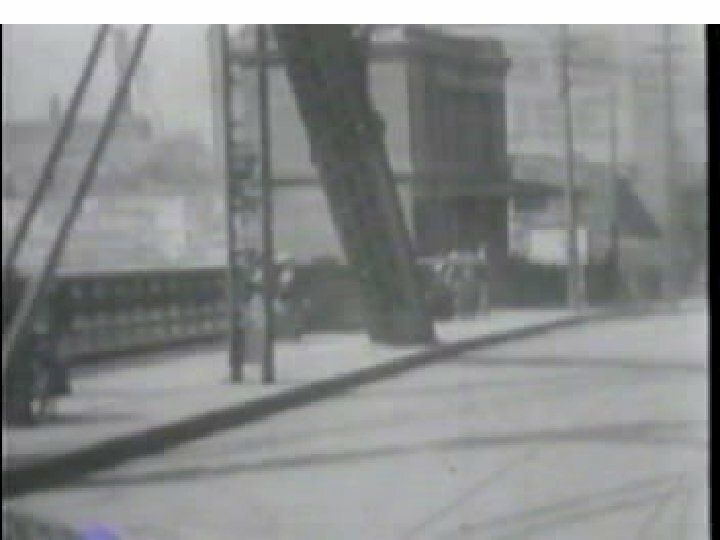 Panic of 1893 & Coxey’s Army. 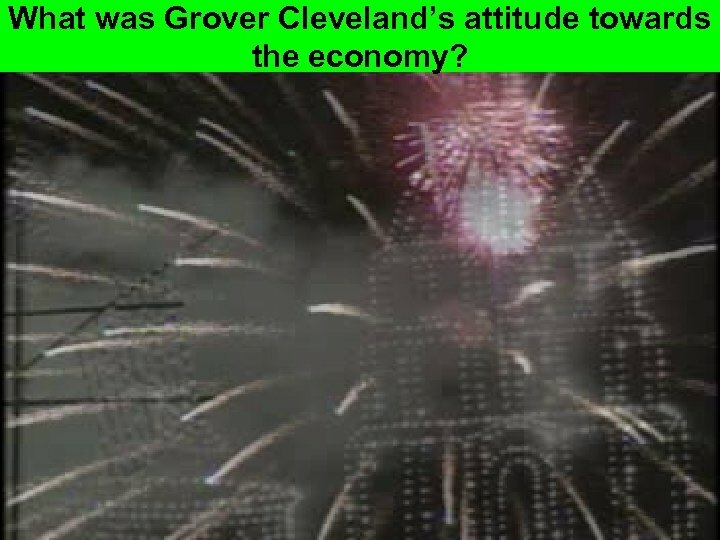 What was Grover Cleveland’s attitude towards the economy? 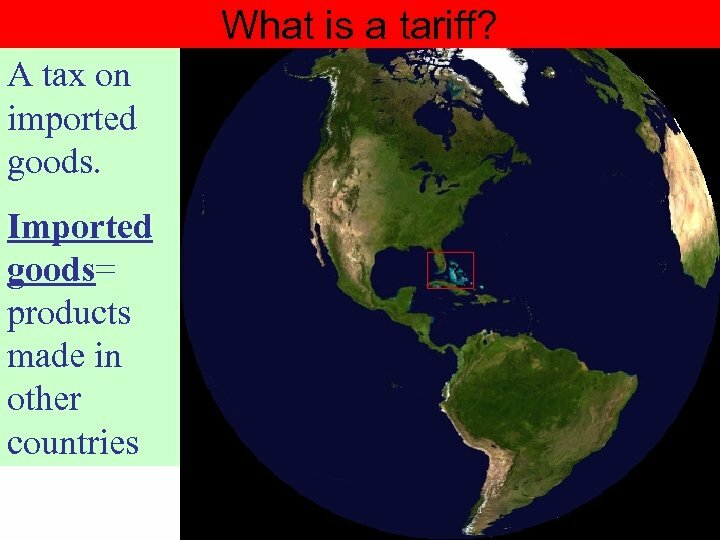 Revenue Tariff Example: The United States imposes a five percent tariff on foreign wine. 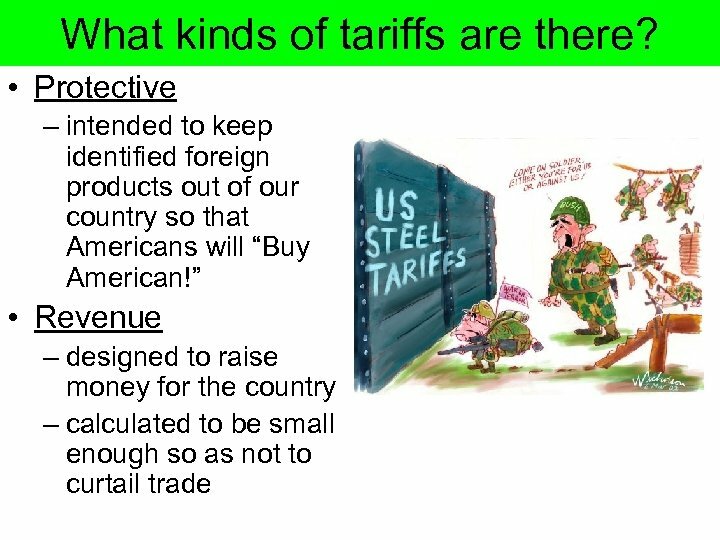 Pre tariff price: $20. 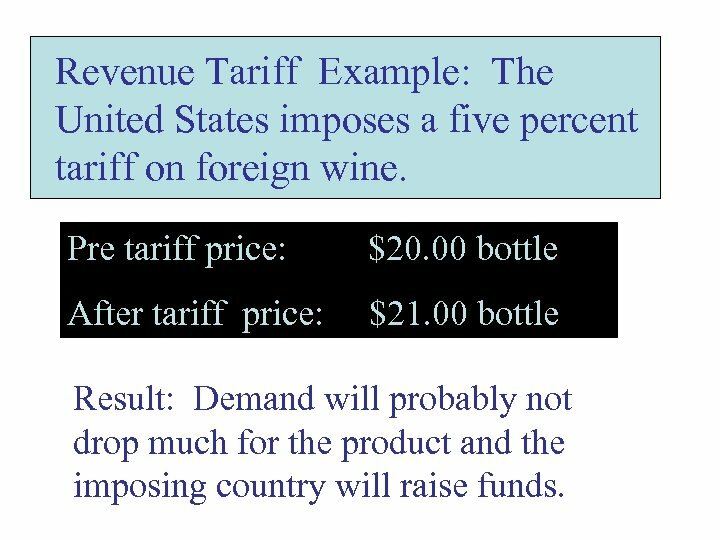 00 bottle After tariff price: $21. 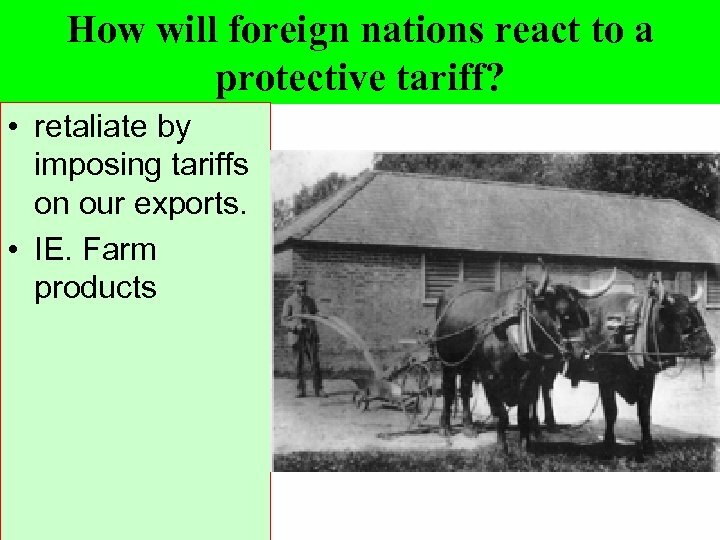 00 bottle Result: Demand will probably not drop much for the product and the imposing country will raise funds. 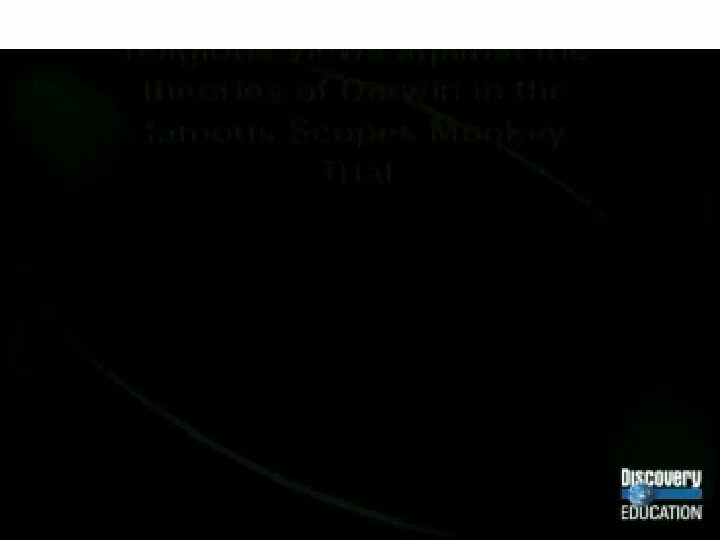 Четырнадцатое января Дистанционный урок Проверка ДЗ 1.